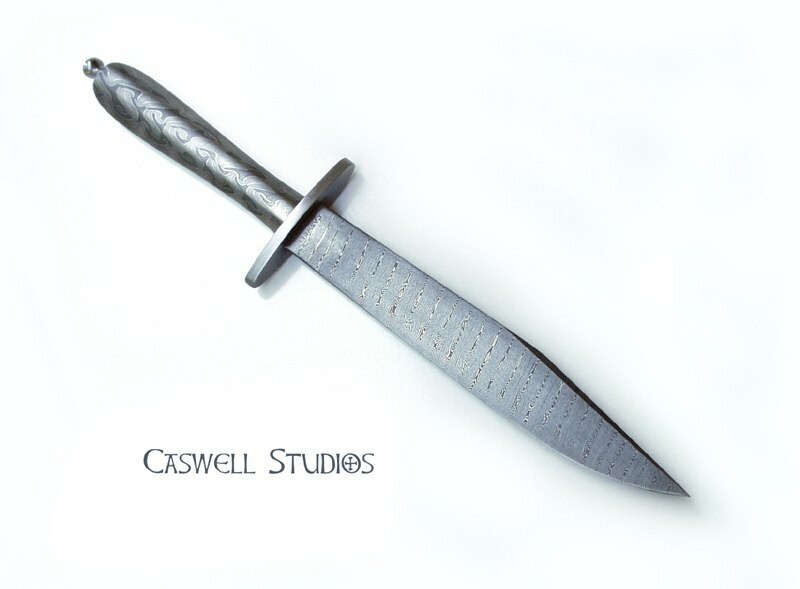 1995-2005, Caswell Knives' focus was pattern welding, primarily swords and other historic forms. 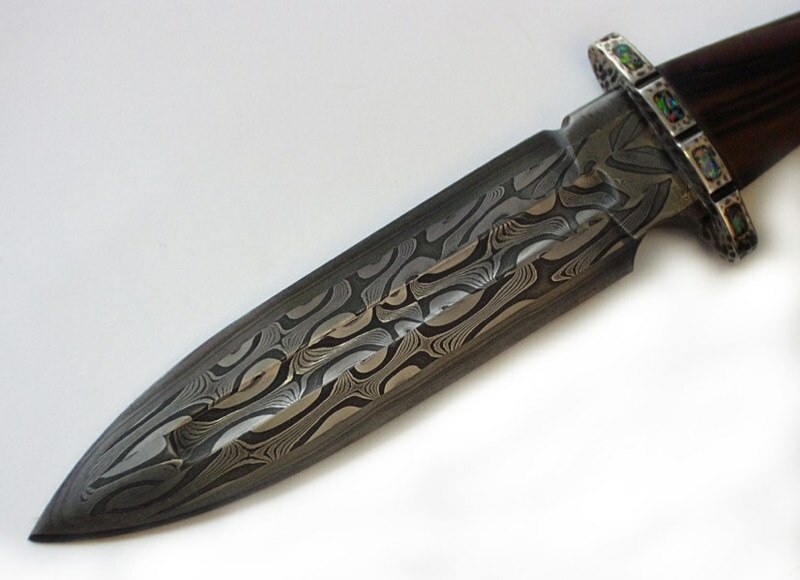 "Celtic Knife" reminiscent of the Migration Period. 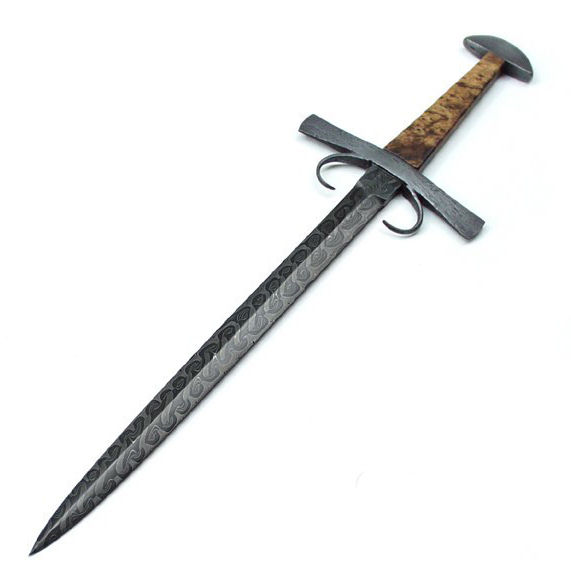 Features typical Celtic/Viking sword construction (three-bar core with "separate" edge). 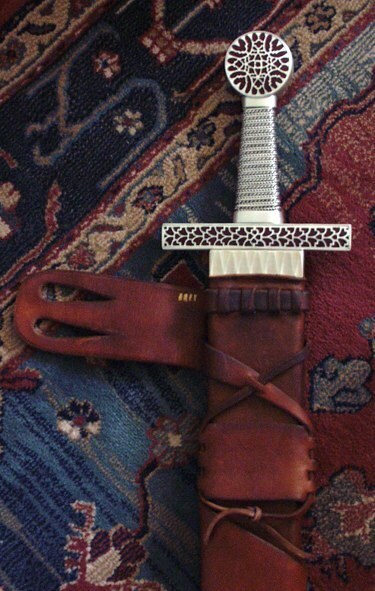 Pattern welded sword "Bailey", circa 11th century AD. Blade type X by Oakeshott's nomenclature. Sterling silver mounts. 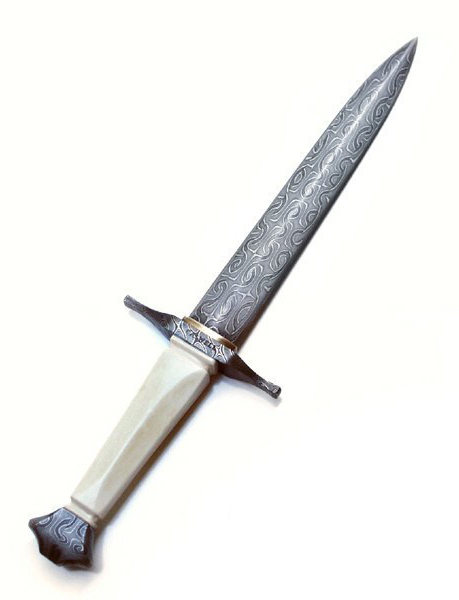 Sterling and enamel hilt (Champleve). Sterling wire grip. Blade is 33.5 inches long and is classic Viking 4-PW bar twist/counter twist with "separate" PW edge welded completely around the point. Sword weighs 2.5 pounds. Forged 2003. Viking Daggers. Blade from a pair of Viking daggers forged in 1996. 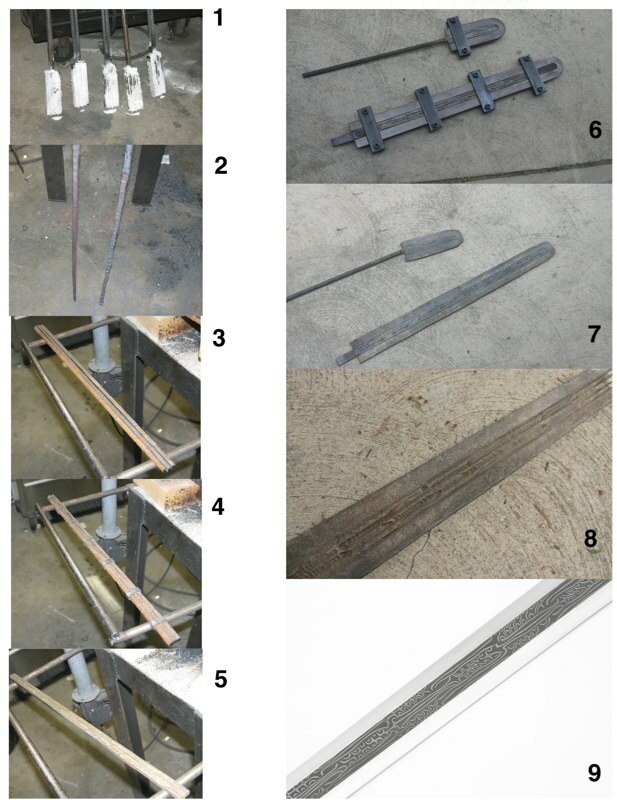 Viking/Celtic sword construction (three PW-bar core with separate PW edge welded around the point. Sterling and opal fittings. Copy of the famous Anglo Saxon sword found in the burial mound at Sutton Hoo, England (circa 635 AD). Complex construction includes eight pattern-welded bars with interrupted twists. 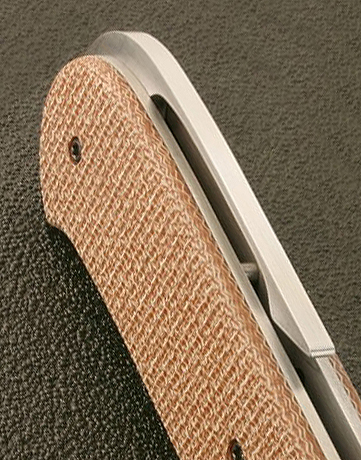 Four bars are visible on each side of the blade. 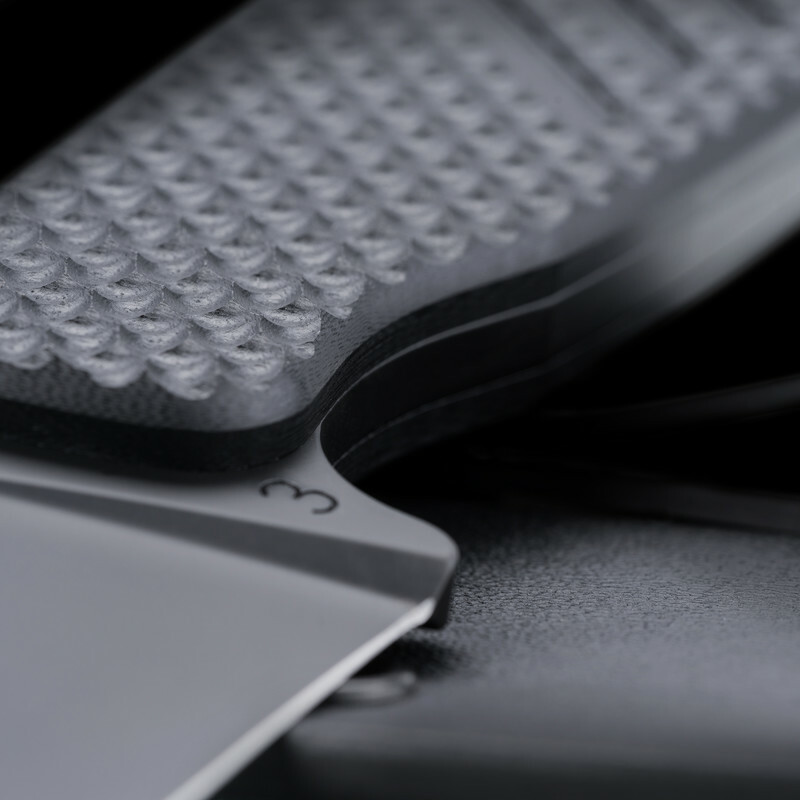 Twisted sections are juxtaposed to offset straight sections on the opposite side of the blade. "Separate" pattern-welded edge runs continuously around the point. Forged 1997. "Bowie" knife with classic four-bar twist/counter twist core, plus "separate" PW edge construction, similar to Anglo-Saxon Seax. 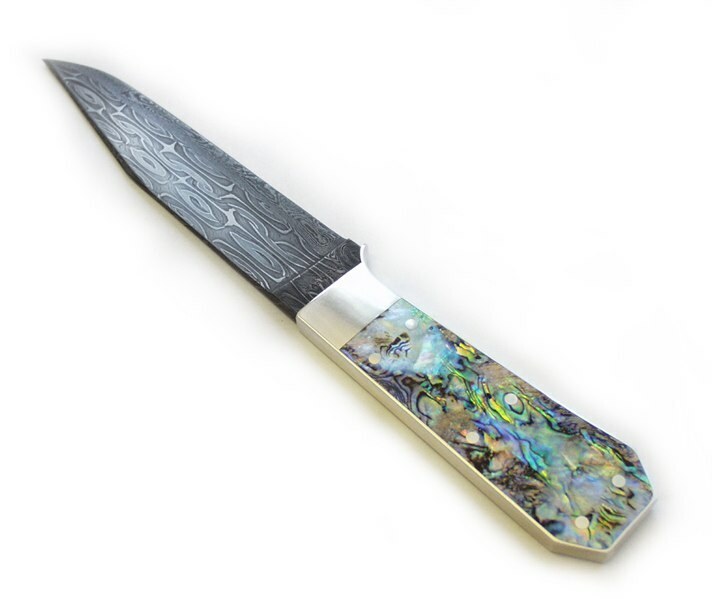 Paua shell scales, sterling silver fittings. All Steel Bowie. 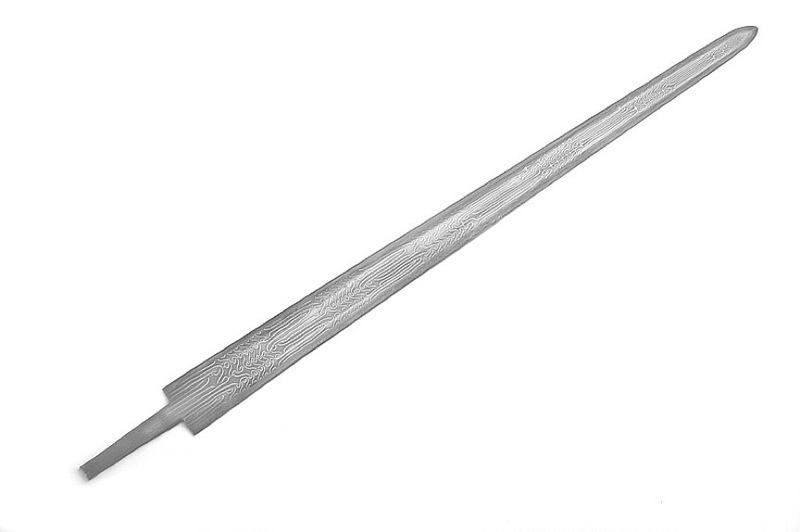 Blade is four-bar twisted/counter twisted PW 1060/1018/15N20. 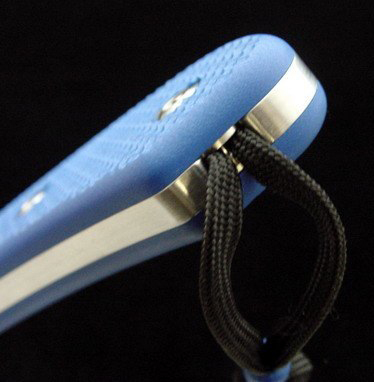 Blade is 180-layer tightly twisted 1084/15N20. 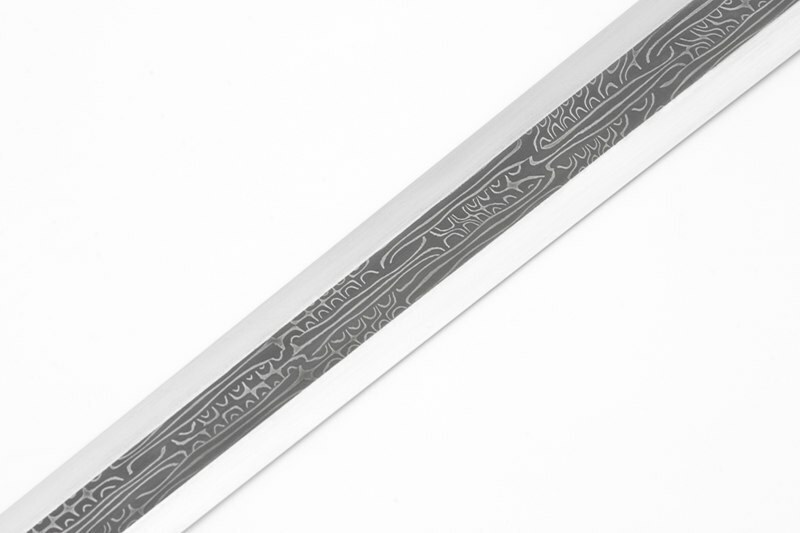 Pattern welded sword typical of migration, early medieval and Viking periods. It's constructed of three 7-layer PW bars, each bar features an interrupted-twist pattern. These bars are arranged so that twisted portions align with untwisted portions of adjacent bars, with untwisted sections arranged edge-up to appear as "straight" lines in the pattern. 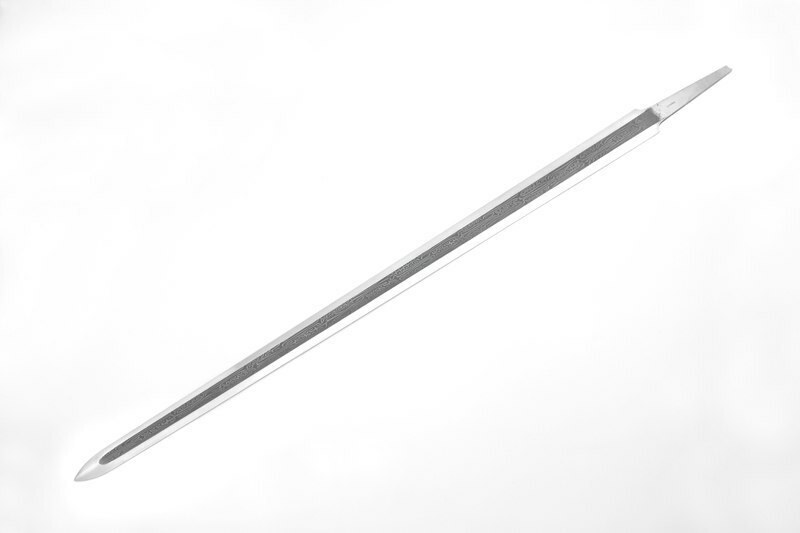 The three bars are welded into a single "core" and a continuous edge is welded around the point and down the sides. 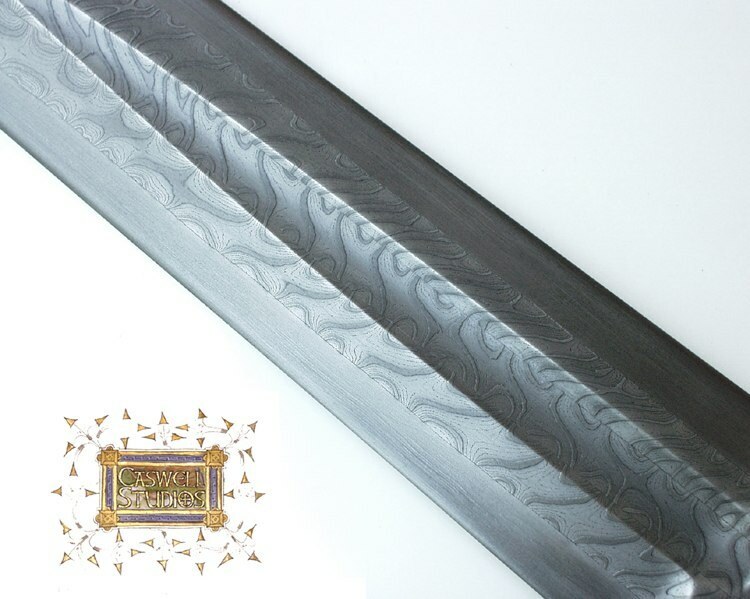 The sword is hardened to 54 RC, weighs 18.4 ounces and measures 30.5 inches in length (point to end of edge). Sword was forged in 2009. 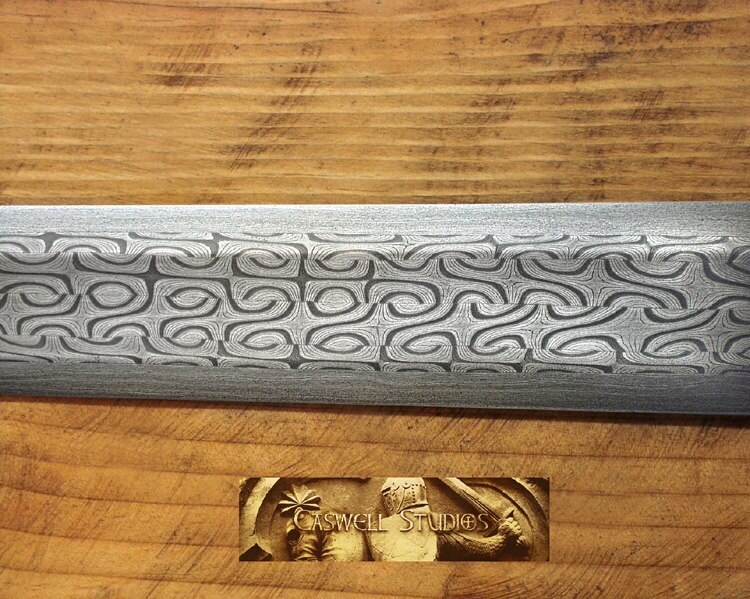 Blade and pommel of four twisted/counter twisted pattern-welded bars. Handle is woolly mammoth ivory. Overall length: 10 inches. A pair of wheellock pistols (circa 1580 AD) (Germany). 12 of these pistols were built. They are all metal (bronze) stocked and feature extensive cloisonne enamel and genuine semi-precious set stones including garnet, swiss-blue topaz and peridot. 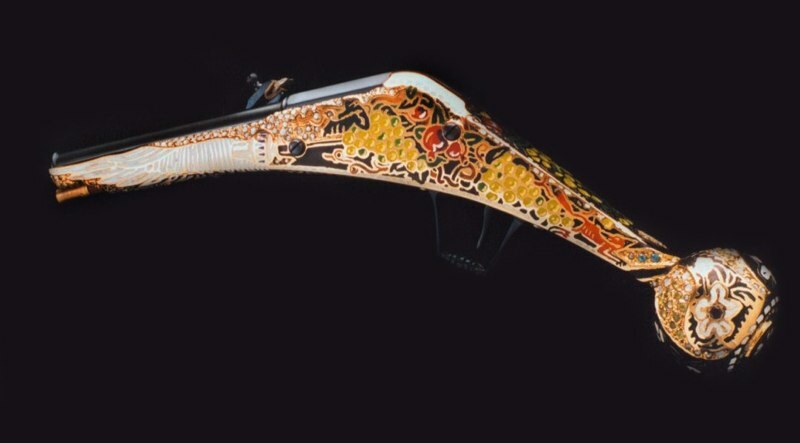 There is also inlaid mother-of-pearl. These pistols fire reliably using period-appropriate iron pyrite for ignition. Lock and .45 cal. barrel are nitre blued.